Wintac is a business automation software designed for managing service contracting companies. Its features include customer and lead management, estimates and proposals, scheduling and dispatching, work order management, accounting and payroll, and more. In this article, we covered user reviews and pricing. Ready to get started with Wintac? Request for a demo. Users who gave Wintac a positive review said that it streamlines their workflows with the help of work order management, scheduling and dispatching, and customer management. Some of them also said that it can provide detailed business insights through its report and accounting tools. One user who gave Wintac a positive review on Capterra said that it enables him to centralize invoicing, inventory management, and job scheduling processes. He also commended the custom fields which allow him to quickly organize user and client information. Users who gave Wintac a negative review complained about an outdated interface, some stability issues, and system glitches. A few of them reported duplicate customer accounts which weren’t addressed by software updates. Wintac offers three subscription plans: Wintac (starts at $2,695), Mobile Access (starts at $1,000), and Financing ($87/month). The main difference between the plans is the payment method chosen by the user (monthly or one-time fee). All packages include a complete software package, onboarding program, technical support, as well as onsite and online training. The Wintac plan charges $1,245 for every additional user, while the Mobile Access has a $30/month fee for each remote user. Add-ons such as a web portal, XCharge (integrated payment solution), TomTom integration (fleet management), Wintac Training, ReviewBuzz (user reviews collector), and data conversion tool are also available at customized prices. Ready to get started with Wintac? Request a demo. How does Wintac help users with their accounting processes? Wintac provides users with accounting tools that help them create invoices, statements, automated billing, and accounts receivable. It also generates financial reports and graphs for more detailed business insights. What types of businesses can benefit from Wintac’s services? 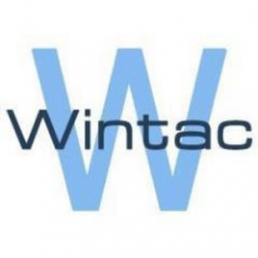 Wintac can be used by a wide range of businesses under the contracting industries such as plumbing, air conditioning, electrical, alarm and security, appliance and general repair, cabling installation, drain cleaning, handyman services, HVAC, locksmith service, roofing, and more. Not sure if Wintac is the right fit for you? Read our reviews of all top field service management software or check out one of these three Wintac competitors. The idea is there, but the performance is not. I like the setup and being able to lookup the customer, a PO number, an address, or job description. And also being able to search for those things within a certain time period. I do like the layout of the weekly schedule. I like that the technicians can all login to the software through their iPads and can edit notes and times once they’ve been to a job. Setting that up can be somewhat confusing and difficult though. It’s nice that you can easily upload files, screenshots, and pictures into the program to keep up with jobs and orders. This program honestly makes my blood pressure rise. The system is so slow, when it’s not in the process of crashing constantly. It’s also incredibly difficult to look up customers and switch back and forth between the weekly schedule and the customer’s profile to setup appointments while on the phone. It’s incredibly slow so there is a long awkward amount of time spent on the phone trying to figure out what the customer’s job description is and then switching back to the days of the week to see what will work best for the customer. Sometimes I even have to click out of the program onto something like Internet Explorer and then reopen Wintac because it will freeze on certain screens and clicking out of the program is the only way to make it load the screen you’re waiting on. As far as searching for customer’s names or PO’s, forget about it if you have a ton of jobs like we do. We have only been using Wintac for two years, so there is only two years worth of jobs and it is incredibly loading/searching jobs. I like the layout of the weekly schedule, however the monthly schedule is terrible to look at and not helpful at all. I wish I would have known how the customer support would have been. Don’t expect to call them and talk to someone. Long wait times on the phone, I don’t think anyone has ever answered, they want you to leave a message and they will call you back at a later time. They have logged into the computer before to assess the screen and what’s going on and have changed a few settings and said “this should help” or they’ve said I see what issue you’re having and there isn’t anything we can do about that”. They really aren’t helpful at all. Customer service is incredibly hard to get ahold of. Long wait times on the phone and they would rather you leave a message, they basically will never answer the phone. The chat room customer service that I tried was also not helpful. The customer support person I was working with was illiterate and didn’t even have actual file names for what he was referring to. It was more like “Look on your server and find a file that says something like this or this”. I definitely wish there was more support and real help for all of our problems. Any time that they have assisted us, they will login to our computers and see the issues we’re dealing with, change a few settings and say this should help or “there really isn’t anything we can do with this issue” and leave it at that. Very unhelpful. We also spent $3,000 on the new update that was supposed to make everything much faster. This update was the worst mistake we have made so far. Every thing ran twice as slow as before, files were being lost, pictures were getting deleted out of the program when we would click to open them. We had to have them uninstall the update and just put the money towards our subscription. They make the UI easy for the user to understand and read. its very visual but may lack in certain features the 21st century may have in store for us. It lacks in certain features other companies are offering. as far as mobility wintac is behind compared to other software out in the market. they have a web based portal but its not very user friendly and you cannot do much on it as far as creating work orders. you can work with what you have as long as you have internet.. the data is still required to be stored in your own personal server/computer. Better mobile experience. more reliable features with third party companies. more options on those features than the limited 3rd party companies they provide.